I received this book for review from LibraryThing's Early Reviewer program. When I received it, I really didn't know what to expect. I'd never read anything about the Ukraine, and very little about Russia (just Dr. Zhivago, which I loathed). But the premise sounded interesting and I thought I should give the region another chance. The book is about Daria, a young Odessan woman who is trapped in a miserable job, working for a pig of a boss, making almost no money as a secretary when she has a degree in engineering, with no possibility of escape on the horizon. 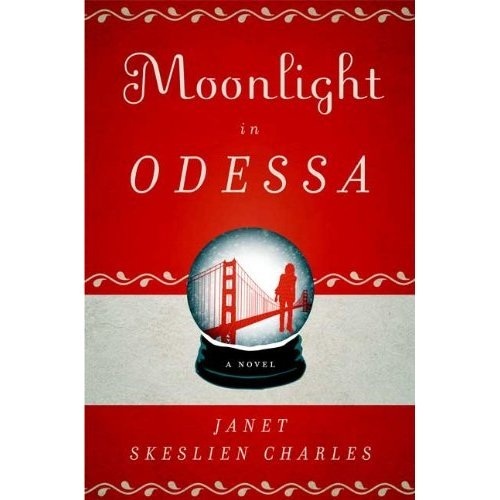 While she has a love-hate relationship with Odessa (she loves its beauty and traditions, hates the fact that it is such a dead-end), she realizes that her only hope is to leave, to get out, find a better life elsewhere. But most Odessans never leave. The key for most Odessan women is to marry a foreigner (read: American) and move away for a better life. Odessan men are drunks and layabouts; American men promise freedom and an easy life. To supplement her income, Daria takes a job working for an internet matchmaking company called Soviet Unions (HA! ), translating for the girls and their dates. While she initially loves the work, which allows her to use her beloved English more often, she comes to realize that she is, basically, trafficking in these women. 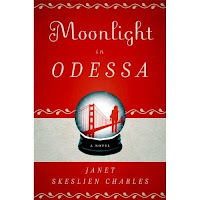 When she meets Tristan, an American teacher, online through Soviet Unions, she has to choose between him and his promise of the American dream, or Vladimir Stanislavski, a local mobster and the uncertain future he offers. And what about her boss, Mr. Harmon? My favorite part was the first section. I love who Daria is, how fearless she is in taking charge at work, how she is able to stand up to Vlad. The second section, in which things change substantially, made me mostly very sad. (I'm being very vague on purpose, so as not to spoil the events of the book.) But I loved the end. It was a happy ever after (sort of), but open-ended, with a lot of questions unanswered. I kept thinking about Daria after the novel ended and wondering what happens to her next. I don't usually give quarter-Whatevers, but I couldn't decide between four and four-and-a-half. And its my blog, so I can do whatever I want. So I'm going to give this book four and a quarter Whatevers. Read it. It's fun, not too heavy, and I'm sure you will be glad you did. 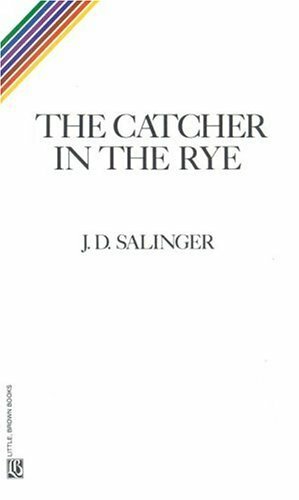 I mooched this copy of The Catcher in the Rye. This book was another re-read for me. I first read it in high school, but I can't remember what year. I detested the book in high school. After reading it again, about 20 years later, I really enjoyed it. I think, perhaps, I was in the same boat as Holden Caulfield the first time I read the book - no, not crazy...immature! 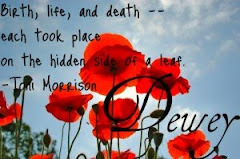 Reading the novel with more life experience behind me, I just GET IT a lot better. I found it hilariously funny. Holden's immaturity and constant watch for "phonies" just cracked me up. Ultimately, though, the book is a sad one - Holden's immaturity leads to his loneliness, and his loneliness keeps him from being able to interact in appropriate ways with others. His sadness over the death of his brother and the poor family dynamic among the Caulfields just complicate the already difficult and distressing teenage years. Reading it again after 20 years, I officially reverse my original opinion: I give the book five out of five Whatevers. Never have I flown through a novel so quickly. I finished it in two days. I almost couldn't put it down. It has earned its accolades. Recommended, but not for high schoolers. Put some distance between the age of the protagonist and the age of the reader. Most teenagers cannot believe that every little thing that goes wrong is not the end of the world - the teen years are filled with too much drama for most teenagers to appreciate this book, in my humble opinion. Put some life experience behind you, then pick it up...or else read it as a teenager and then re-read it years later and see if you appreciate it more! The American Revolution is drawing near, and the Fraser/MacKenzie clan of Fraser's Ridge must decide which side they are on. Knowing what they do about the outcome of the war, they lean toward the cause of liberty, but Jamie must also balance his political stance with the use he can make of his Loyalist friends. This book chronicles the few years before the American Revolution starts in earnest (and part of the year 1776). It's pretty standard Jamie-and-Claire-get-into-trouble-and-mysteriously-out-of-it-again fare. I loved it, as I've loved every book in the series. I purchased my copy of the book (maybe at BJ's?). And, while I've read this one before (and it was the most recently read of them all), I remembered the least about this book. So my re-read was almost like reading it again for the first time! Definitely four and a half out of five Whatevers. Action-packed and absolutely wonderful. One more published volume to read, then I have to get my hands on the new one, Written in My Heart's Own Blood, as soon as it comes out next year. 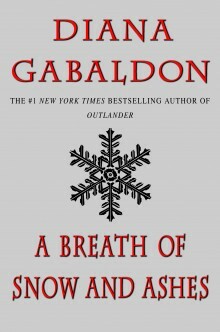 Maybe I should satiate my desire for Gabaldon in the meantime by starting the Lord John series, which I have never read?